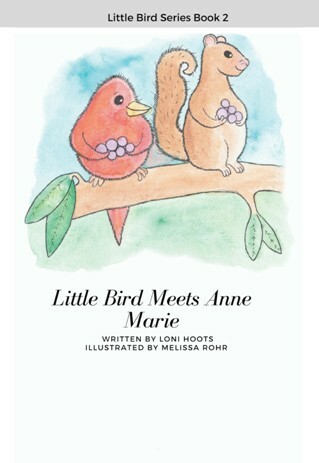 Little Bird Meets Anne Marie is Book 2 of the Little Bird Series written by Loni Hoots and illustrated by Melissa Rohr. Their collective talents fuse charmingly and delightfully together in this growing collection of bedtime stories with playful rhyme and expressive characters. This is imagination made real! Copies can be obtained at Amazon with expanded distribution forthcoming. This has been a busy past few months! 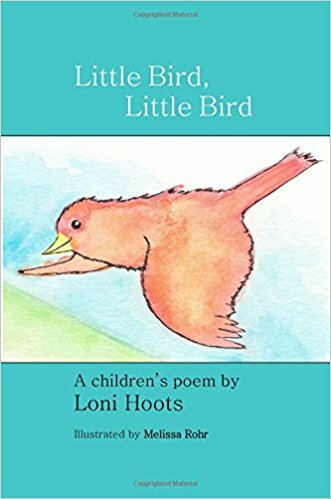 Under the Middle Island Press imprint, we’ve published our first novella: Petals and Nails by Loni Hoots, who also has four books of poetry and the first book of her Little Bird series of stories for children in print. We’re close to releasing Robert Epstein’s Haiku Days of Remembrance: In Honor of My Father (link forthcoming) as well as Checkout Time is Soon: More Death-Awareness Haiku. He has published several books through Middle Island Press – both his own poetry as well as anthologies which he compiled and edited. From The Red Salon, we just released Spear of Stars by Jason O’Toole (this is his first collection of poetry, though he’s a seasoned songwriter); and most recently, The Colors of My Soul by myself, Christina Finlayson Taylor. I do so love keeping busy designing books and am always glad to add new authors and titles to our ever-growing list. Click on the links above to purchase and brows the interiors at Amazon. 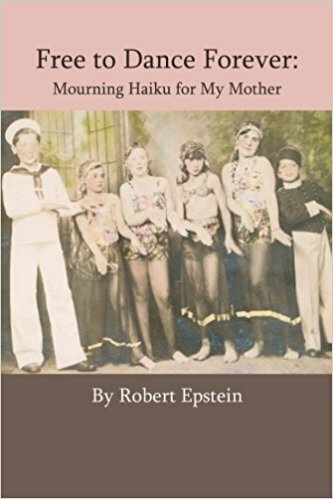 Free To Dance Forever: Mourning Haiku for My Mother is a beautiful book by Robert Epstein, and one of several of Epstein’s books published through Middle Island Press. This book was made available for purchase via Amazon on the first anniversary of the poet’s mother’s passing. It contains a full-bodied Introduction and haiku divided by stages of life, death, and mourning through the heart and mind of Epstein as both son and psychotherapist making peace with the pain and loss. Eulogies are also included at the back of the book, as well as much recommended reading. Free to Dance Forever is so moving and is of such a critical subject that it will sell itself, and it was an honor for Middle Island Press to publish it. This book is a first for Loni Hoots and Middle Island Press: It’s a children’s book, first in the Little Bird Series of ongoing adventures in collaboration with illustrator Melissa Rohr. Little Bird, Little Bird is sure to be a lively addition to the bookshelves of preschool-aged through elementary school-aged children (recommended to be read by an adult with bedtime quietude and playful inflection). Little Bird, Little Bird is now available at Amazon. Robert Epstein, a dedicated haiku poet and anthologist, has earned the honor of making The Touchstone Distinguished Books Award Committee’s Shortlist for 2017 with They Gave Us Life: Celebrating Mothers, Fathers & Others in Haiku, an anthology edited by Epstein and published by Middle Island Press. The Haiku Foundation is pleased to announce The Touchstone Distinguished Books Award Shortlist for books of haiku and related forms published in 2017. The eighty books nominated for this year’s award represent a rich variety of English-speaking books from many nations and haiku traditions. It was with great effort that the panelists narrowed their choices to the 15 books on the list. In the first round of reading, each panelist reads approximately 16 randomly assigned books of haiku collections by individual authors, haibun collections, anthologies and books on haiku criticism, and then nominates three books for the Shortlist. There is also an opportunity for panelists to choose books that they have read on their own as substitutions if they feel another book deserves recognition. In the next round, each panelist reads each book on the Shortlist to decide which books will receive further recognition. Brandi, John & Martinez, Noriko Kawasaki. A House By Itself: Selected Haiku: Masaoka Shiki. White Pine Press. Brickley, Chuck. earthshine. Snapshot Press. Buckingham, Helen. sanguinella. Red Moon Press. Busch, Simone K. von Schatten trinken / sipping from shadows. Books on Demand. Carter, Terry Ann. Tokaido. Red Moon Press. Coman, Sonia. Passages. Hoshin Media Group. Day, Cherie Hunter. for Want. Ornithopter Press. Deming, Kristen. plum afternoon. Red Moon Press. Epstein, Robert (editor). They Gave Us Life: Celebrating Mothers, Fathers & Others in Haiku. Middle Island Press. Latham, Jessica Malone. cricket song: Haiku and Short Poems form a Mother’s Heart. Red Moon Press. Mason, Scott. The Wonder Code. Girasole Press. McCullough, Vicki (editor). Sisyphus: Haiku Work of Anna Vakar. catkin. Montreuil, Michael (Editor). At the Edge: Raw NerVZ Haibun. Éditions des petits nuages. Polette, Keith. the new world. Red Moon Press. Tiwari, Paresh. Raindrops Chasing Raindrops. Red River. I wish to thank the distinguished Books Award Committee: Randy Brooks, Rebecca Lilly, Michael McClintock, Julie Warther and Don Wentworth. Congratulations to Robert Epstein! It’s been such a pleasure working with him over the years. It so happens that this news arrives at the anniversary of his mother’s passing as well as the release of his latest book, Free to Dance Forever: Mourning Haiku for My Mother, which is available at Amazon as of this morning. 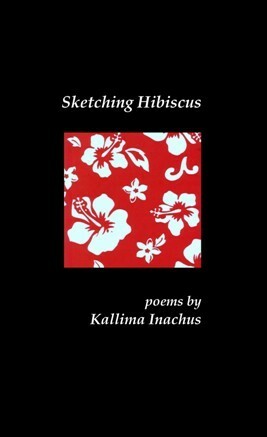 I’m gladdened to have recently completed Sketching Hibiscus (Middle Island Press), which is now available at Amazon. Kallima is gifted with incredible sensory perception that makes her poems sparkle with uniqueness, and her sophistication and life experience have graced her with a vast mental library of references that add color and depth to her creative imagery. steam of faint cream and earth. 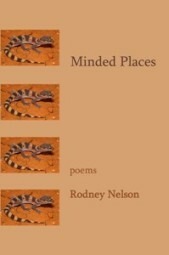 Minded Places, a book of poems by North Dakota poet Rodney Nelson, was recently released through Middle Island Press. Nelson offers an incredibly lucid experience through his poems, much like stepping into a dream at times – another place, another time; or simply living the experience of another (in this case, Rodney Nelson). Beautiful work as always; we’re glad to see it in print.